Mine come with XHP50.2 maybe 1A tint. Sorry It only Quick test. How yellow is the tint on your sample? Like an incandescent bulb? Or is it yellow/greenish? Oh, so they changed the smooth reflector to an OP reflector. 1A ??? That’s around 6500K!! 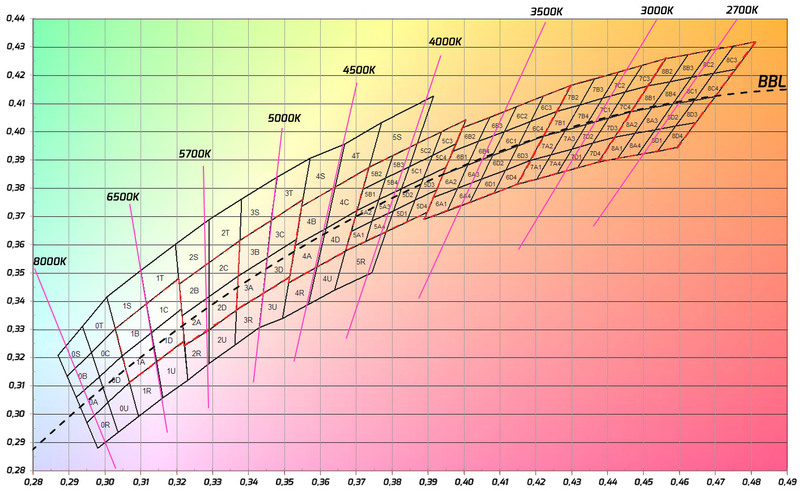 Blue spectrum if you ask me… Man, with all that yellow phosphor showing in the photo of the led it looks to be 3000-4000K. 3-4K……That’s what has been advertised anyways. Go figure. Nah, that’s more like 5300k. My XHP50.2 in my MT01, when it was stock, was 4800k 80CRI, and looked oranger than this. My Sp33 hotspot is a nice white but there is a visible yellow corona when shinning on wall. I ordered on 24th and it still hasn’t made it to the USA. Grumble. 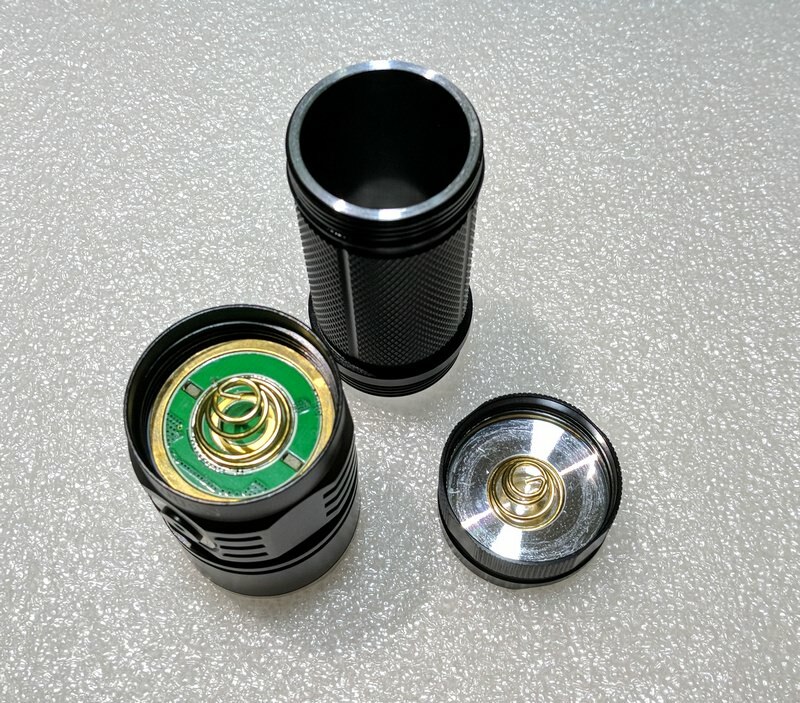 What do you expect with the latest Cree flip chip LEDs? They should use a pebbled TIR in stead of a reflector i.m.h.o. No idea on beam on the xhp50.2 before buying actually . But the yellow corona seems to take over my focus even when using outside. Just glad did not try the others with the xhp70.2 as heard that it is even worst than the xhp50.2. 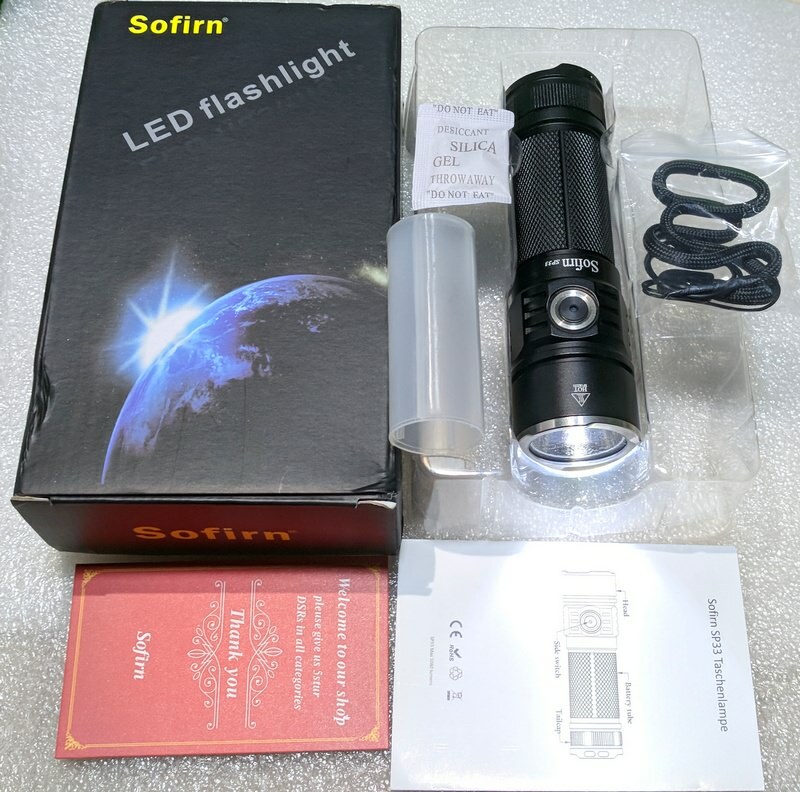 But in all sincerity, sp33 is a well made and very serviceable flashlight that I use most around the house than my favourite emisars. At the current price, sp33 should really deserve much more attention. No regret in this purchase and will most likely get another to gift to my mom. Pok, thank you for showing us your light! I am loving my SP33’s!! The CCT is perfect as far as I am concerned. Good job Sofirn…. My SP33 will be at the post office this morning. I’ve watched every youtube and read every review on it—now I get to play with the real thing. YAAY! Hope you are happy with it. Mine should be in tomorrow. 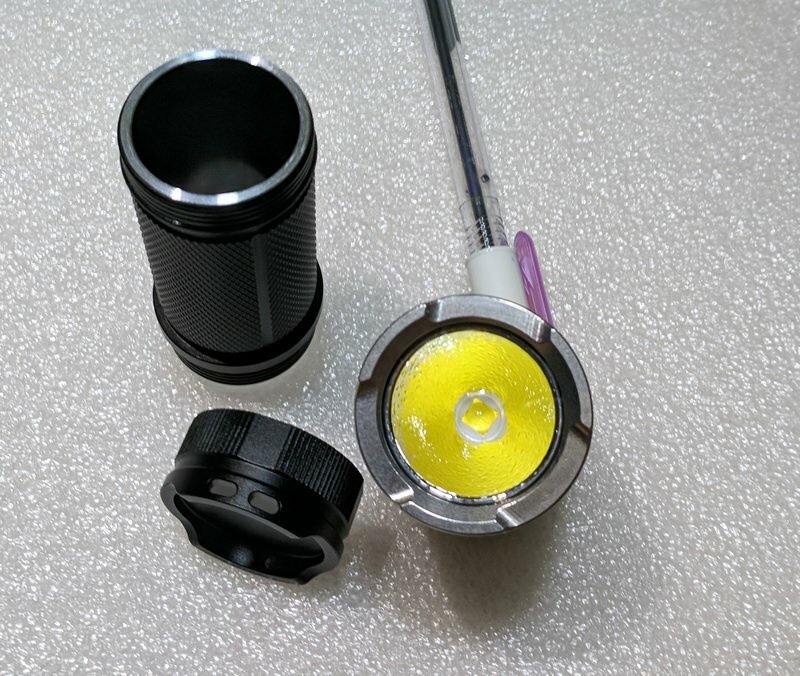 Will be my 4th 26650 light. I am inclined to think I will not be afraid to bang this one around a little more than my D4Ss – they are just too pretty. Whoops, 5th. Forgot about the Catapult V6. It’s my first 26650. Hope the included battery is decent. It is. It’s not a HD, but it’s a decent battery. At least mine is. Bushmaster – did you get your SP33? Mine is in. Like it well enough for the price. Really like the size. Not too big or too small. Beam is OK, but the switch seems a little inconsistent. May just be that I have to get used to it. Peg, I really like this light very much. I love the UI—simple but convenient and intuitive. Beam strength spacings are fine and turbo is quick to get to and plenty powerful to see if the coyotes are after the chickens. My one and only complaint would be the difficulty in finding the button in the dark. I’m used to having a pocket clip for a location reference point on my side-button tube lights. This button is hard to find with bare hands and would seem to be well nigh impossible with gloves on. Might have to figure out some kind of simple mod to make it easier to locate. Other than that, it’s a great light. I think its going to steal some usage time from both my smaller lights and my large soda can lights. The SP33 is nice middling fit for me. Yeah button could be a bit easier to find but I have other lights that are even more difficult in that regard. Yes, gloved-hand you would be searching a bit for sure. And just wish for a lower low mode – single lumen or sub-lumen. For $26 including a decent cell and a travel charger (I needed one), I am happy with the deal. Just got my SP33 and it became my instant number 1. 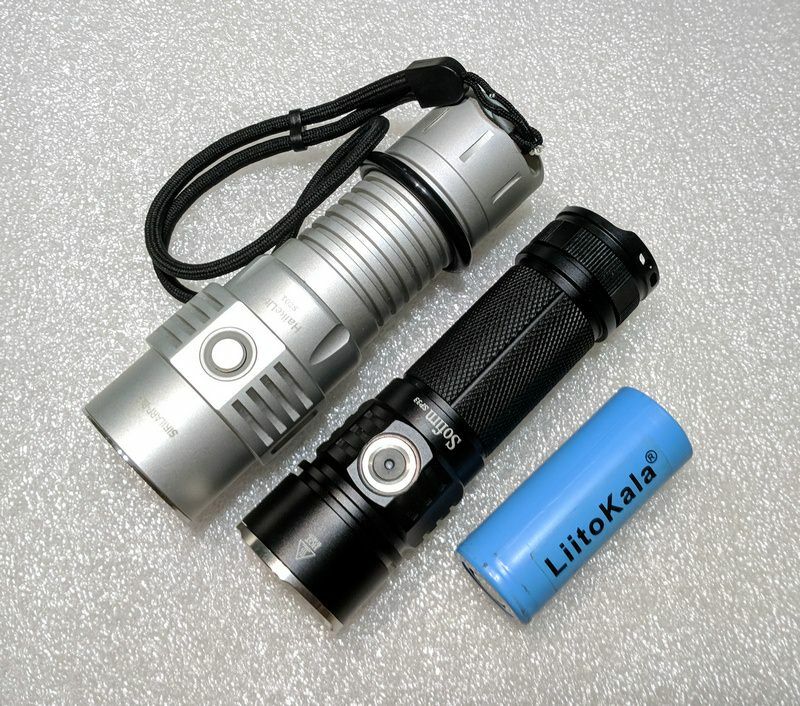 The small dimensions with the 2500 lumens makes it more useful then the Q8 and it’s only a tiny bit bigger then the Thorfires. I also like the white tinted. The simple button interface is also better then the ramping or tail switches. 1 hour later…I want the SP33A…with the 70.2.